ForsLean Review (UPDATED 2019): Don't Buy Before You Read This! 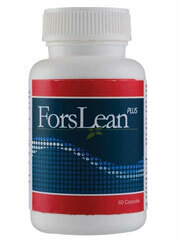 ForsLean is a patented weight loss ingredient used to help trigger enzymes that help burn fat. Other intended benefits are promoting lean muscle mass growth, improving circulation, increased testosterone in men, and to help provide weight loss support alongside healthy eating and exercise. It’s made from the roots of a non-GMO Coleus Forskohlii plant. The manufacturers don’t sell this ingredient themselves, but they do allow for other companies to add it to their supplements in varying strength. So is this truly an effective tool for weight loss? What do people experience, and is it safe to use? In this ForsLean review you’ll read about what customers have experienced, and the real truth about its weight loss effects. ForsLean (It can range from 90% to 10%, with different milligram strengths. ForsLean: Patented extract of the Coleus Forskohlii plant. Forskolin itself is known to increase heartbeat, and widen blood vessels. More information is needed to help determine its true effects. Though the manufacturers do have clinical studies for their patented form, but there’s a possibility for bias. This study was performed on overweight people in a trusted double blind study, which is considered the most reliable form of clinical studies. In it, people were given high amounts of this ingredient in repeat dosages. No hunger loss was listed, increased energy, or change in eating habits. Though other studies have shown a possible side effect with the plant extract. It’s unknown if the makers formulate this ingredient in a way to help reduce its possible side effects. So determining whether or not for sure this ingredient works is still unknown. There’s a lack of evidence to help prove this ingredients worth. Without being able to determine more information, it might be unnecessary to use this additive. Typically in clinical studies, there’s some sort of an effect. However, in many studies there has been a lack of benefits. The company fails to mention the study they paid for which showed no effects. The intended benefit of this ingredient is to increase the functioning of cyclic AMP, which is used to stimulate the creation of the hormone lipase. This in turn helps to break down triglycerides, which are known as the building blocks of fat tissue. Though due to the lack of quality studies, and the information available about the lack of effects, it’s still not yet proven to be an effective weight loss ingredient. Each brand adds their mixture of ingredients alongside the main additive, which is ForsLean. Therefore, it’s important to make sure to read the supplements facts list to see what else is included. Some brands may add large amounts of filler and inactive ingredients. Also, each manufacturer can add their extract strength and total amount to this. Some extracts are offered around 90% to 10%, with different milligram strengths. Still, the available data shows that this ingredient has no proven weight loss properties. There was a lack of any of the claimed benefits made by the creators. Since returns aren’t allowed directly from the producers of this ingredient, one might lose out on money depending on the individual return policies. Some studies have shown that Forskolin may be a potentially harmful ingredient as well. 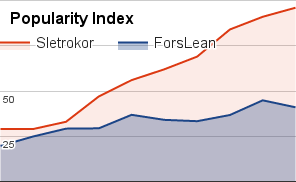 Each brand sells their formula where ForsLean is the main active ingredient in varying prices. One brand sold on Amazon.com featuring this ingredient sells for $21.98, offering a months supply. This is from Nature’s Plus, though this price can vary depending on what specific supplement is purchased. Typically, the brands offered are sold at an inexpensive price. Since studies have shown ForsLean to not have a weight loss effect, there’s really no reason to supplement with this ingredient. Even a clinical study funded by the company showed no results. More proof needs to be given to help show whether or not this ingredient would be safe or effective to take. There’s a lack of accountability, and it’s impossible to determine what strength would be an optimal dose per person. There’s no information available to determine what would be a good potency to start with. The company offers no returns; one has to deal with brands that feature this ingredient individually. Since each supplement company has their own policies, it’s important to look at what kind of return policy is offered, if any. This company holds the only US patent of the plant extract Coleus Forskohlii. Though this patented ingredient is made in a GMP certified facility to help track quality, it’s not FDA approved. The official website also only showcases one study to show the effects of this ingredient. It was also only performed on 6 women. So the judgment of whether or not this ingredient works is only provided by a flawed study. Many more people need to be tested in order to prove this company makes a actually reliable ingredient in ForsLean. There’s not much support for this ingredient. Though there are very few issues with side effects, there’s also a majority consensus that brands containing this ingredient have no effect. People mention they took a full bottle amount alongside diet and exercise, while still failing to see any weight loss benefits. There were some people who claimed they think they experienced a change, but overall, the consensus was completely underwhelming. None of the intended benefits occurred for most in terms of lean muscle mass growth, body fat loss, increased energy, or increased testosterone. Some listed side effects included gastrointestinal effects, nausea, diarrhea, and constipation. Though it’s unknown if this is due to the other added ingredients, or perhaps ForsLean itself. Conclusion – Does ForsLean Work? ForsLean is a GMO free natural extract that’s been studied thoroughly. Some clinical studies have shown it to be effective, but the majority of studies done on the plant and the patented ingredient haven’t shown weight loss benefits. Also, since the manufactures sell this brand to other companies, they are allowed to add whatever they want other blends. No quality control is guaranteed once the ingredient is sold to other brands. Better options for well-rounded weight loss are available, which have only studied ingredients that routinely contribute to weight loss. 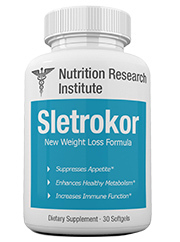 The very best supplement to come out in 2019 is the potent weight loss formula in Sletrokor. This supplement is not only made with pure all natural ingredients, but customers have also left glowing reviews showcasing potent results. It’s made only with plant-based ingredients that suppress appetite, boost serotonin, help with fat burning, and can help improve mood. That’s why so many of its customers mention it’s a comprehensive weight loss formula. The ingredients used have been shown in clinical studies to have a safe and effective weight loss benefit. Sletrokor is also backed by a full 30-day money back guarantee, so anyone can try this brand risk free.